Recommended Astrophotography and Nightscape Cameras. What makes a great Astrophotography and/or Nightscape Camera? 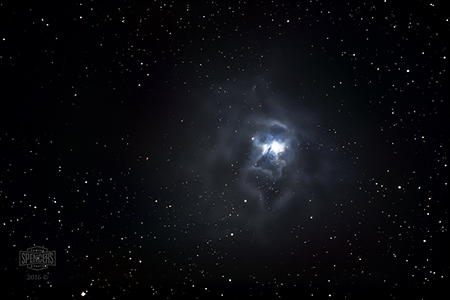 What should you look for when choosing a modified astrophotography camera? We have a few recommendations and suggestions for you. As the old saying goes, "The best camera is the one you have with you." Well, we have more specific and detailed recommendations when considering which camera to purchase or have modified as an astrophotography camera. Most important is build quality. Why spend hard earned money on something that will not last or won't handle everyday use. 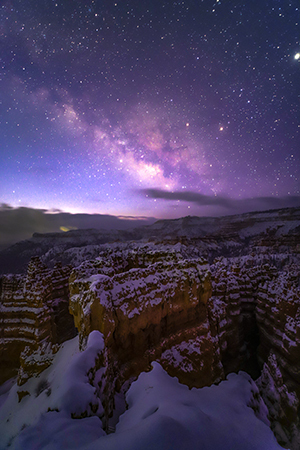 Or, with astrophotography, your camera must hold up to cold temperatures, long exposures, high ISO settings, prolonged use requiring larger battery capacity, specific functions for mirror vibration control and noise reduction, etc... Most major manufacturers produce great camera models but some are better than others. Simply said, weight comparative to size is one somewhat reliable way to determine if the camera is mostly plastic or if it was manufactured with more metal construction. Also, in most cases, you pay for what you get. You can't realistically expect a $300 camera to produce equivalent quality images as a $4000 camera. Personal budget is a consideration as well. We recommend buying a camera that you can afford but without cutting corners on quality. Functionality limitations are a problem with some cameras. You don't want to send money on a conversion or camera only to be frustrated with the results because it doesn't perform well when shooting long exposures at high ISO settings. For instance, some cameras won't work very well with custom white balance settings after being modified. Some are very "noisy" when capturing long exposures. Some have limitations which can affect the use of RAW files and its ability to retain accurate white balance info/settings when importing to Lightroom, Camera RAW or Photoshop. Some cameras have built-in design flaws that cause problems for long exposures and/or high ISO settings. Others work seamlessly in almost every circumstance and almost never cause headaches when shooting or post processing. NEW!! Spencer's Camera & Photo now offers reinstallation of the Sensor Cleaning/Dust Reduction System for most Canon models (we can re-install the system for any and all Canon and Nikon internal filter options). Sony, Pentax, Fuji, and most other camera makes will be added to the list very soon. Simply select the re-installation option within the internal filter section when ordering your conversion/camera and the cleaning system will be reinstalled during the conversion process. These cameras are great but simply are not quite as good as the "Highly" recommended cameras. They may lack slightly in performance, build quality, image quality, battery capacity, or other minor reasons. For the most part they will perform very well for Astrophotography or Nightscape photography. The cameras listed within the "Not Recommended" list have a design flaw that will create an infrared light leak after the modification. An infrared emitting sensor built into the shutter mechanism will "bleed" light onto the imaging sensor and is detectable by the sensor once it has been modified to be Infrared Sensitive. This will cause a very poor imaging result especially when shooting long exposures with high ISO settings. We do not recommend use of these Nikon and Sony models for astro-modification.